Our new, interlocking Soft Floors and Soft Carpets are a comfortable alternative to standing on concrete or carpet. All soft floor includes finished outer edges with rounded corners to give your booth that extra bit of class. Made from high density closed-cell EVA foam. Provides superior anti-fatigue relief for people on their feet all day. Can be vacuumed or washed with soap and water. Great on concrete, tile or carpet! 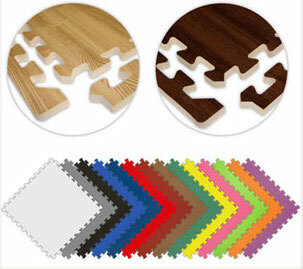 Available in wood grains, solid colours and carpeted styles. We ship to all locations in North America.